I remember buying cases for my past iPhones and spending $50 or more! I also bought screen protectors and paid a premium for those. Not any more! 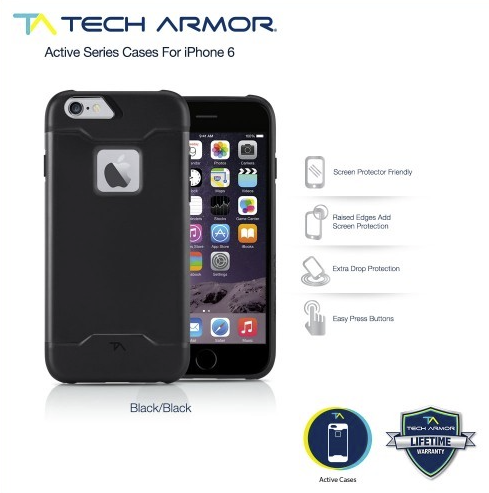 Tech Armor, which has been in business since 2012, offers an ever expanding line of Armor products and accessories for your mobile phone of choice. The various product offerings are reasonably priced, and one of the great things about Tech Armor is their no hassle, lifetime limited warranty. More on that later. 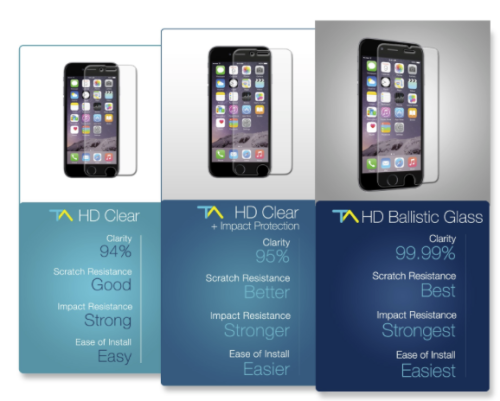 I decided to install a screen protector on my iPhone 6 plus and I was looking at some of the ballistic glass models in the Verizon store when I first purchased my phone. Verizon wanted $29.99 for a screen protector, but I decided I was going to look around. 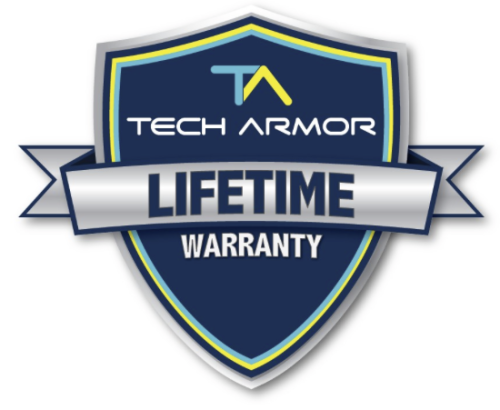 I was not aware of Tech Armor, or its products, prior to my 6 Plus purchase, and was surprised to find this company’s prices are so reasonable. I decided to take a chance and bought their Apple iPhone 6 Plus Premium HD Clear Ballistic Glass Screen Protector. You can purchase from several different levels. I wanted the best. There are installation videos available on the TA (Tech Armor) site so I went up and viewed a few. I found them to be helpful. Installing screen protectors has never been a strong skill set for me and I often messed them up, or got dust under them. Since they were always so expensive, I would just live with a lousy installation and hope that I could do better the next time. Following the TA instructions and videos I was able to flawlessly install my screen protector. I especially liked the way the screen protector adhered to the screen by gently drawing a cross on it with my finger. It really was that easy. I have had this screen protector installed for months now and I don’t even notice it is there due to the clarity of the glass used. The only thing I could object to was the lack of a mask on both sides of the screen protector. 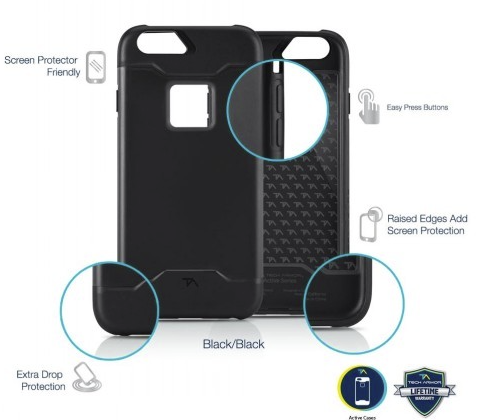 Next up, I needed a case so I thought I would try the Active series case for my phone. Other protective cases I had been using were making an already large phone larger, I wanted something that would keep my phone slim. The Active case snapped on to my phone easily. I especially liked the thin profile. All ports and speakers are accessible. Unlike other cases I’ve tried, the buttons are easy to push on this case. The corners of the case are reinforced and there is a raised edge that helps protect your screen from a flat drop. I would have liked the side edges to be just a bit beefier. As with all TA cases, they are screen protector friendly. 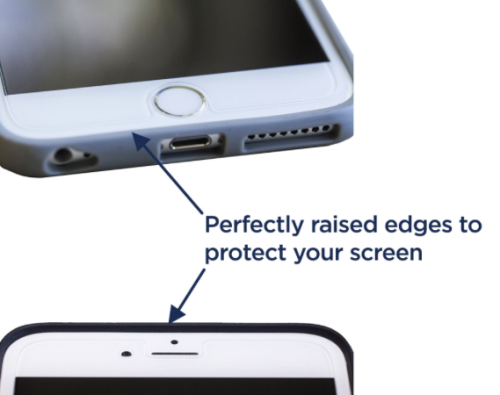 This is a big plus if you’ve ever bought a case only to find the screen protector is now a problem. 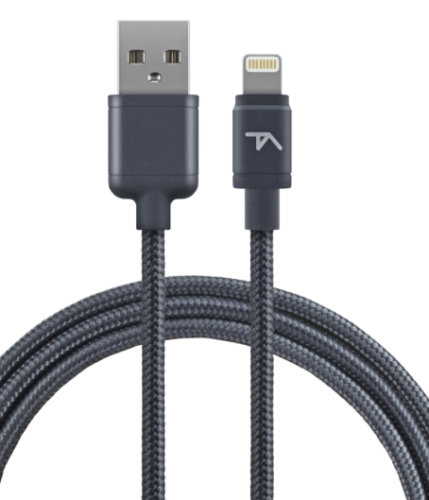 Finally, I tested a Tech Armor premium Lightning cable. I had been having trouble with other third party cables where the cable meets the connector. These are frequently cracking and breaking for me, and these are just cables that sit on my desk waiting for an iPhone or iPad to charge. It isn’t like I am carrying them in my luggage and using them in hotel rooms or other demanding situations. These cables are braided and feel tougher than your average cable. They are considered high performance, using oxygen free copper conductors, and like all TA products, they have a limited lifetime warranty. I have been using this cable for several weeks now and it is holding up well, and I hope this will continue. I wish TA offered longer 8’ or 10’ cables. A comment on the Limited Lifetime warranty: After using these products I bought a screen protector for my son’s iPad mini. After installing the protector we found a case he liked, but the case forced the screen protector to lift up. Dust got in there and the whole thing was a loss. I contacted TA customer support and explained what had happened. Within a day or two I received an email with some additional questions that were easily answered, and a day or two after that I received a shipping notification for the replacement screen protector. Clearly, this was very easy, and there was no push back or hassle. Reasonable prices, great products, lifetime warranties. What more could you ask for?